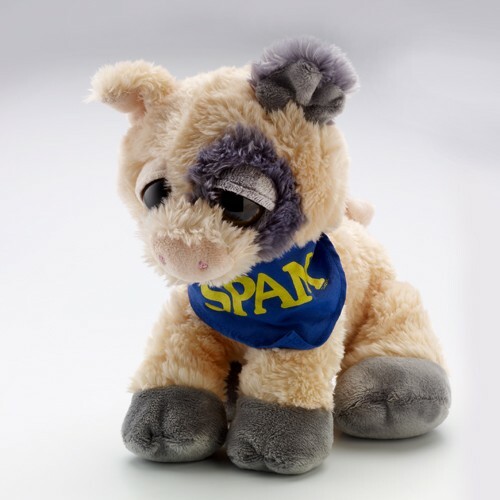 "Pickles the Pig" Wears a SPAM® Brand bandana around his neck and looks at you with his "Dreamy Eyes". 6" tall. & 9" long. The peach coloring and grey spots make this pig look real!